Sometimes when travelling, the anticipation of a place can be more rewarding than the destination itself – I remember as a kid I was really excited about seeing a black sand beach, only to be pretty disappointed when I actually got to see one. A friend of mine had the same reaction upon finally viewing Stonehenge – she didn’t realise it would be next to a highway, and so protected it couldn’t really be enjoyed. Sometimes the reality doesn’t live up to the postcards, or the hype. 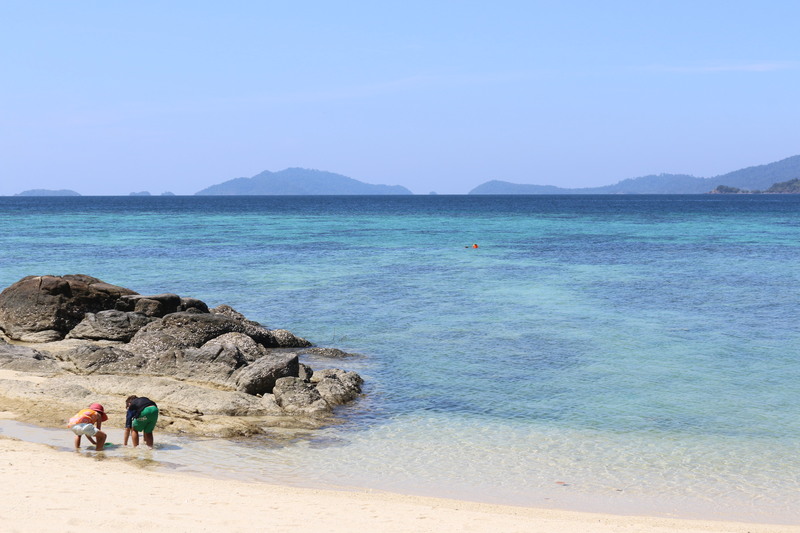 I had a lot of hype in my head about Koh Lipe. 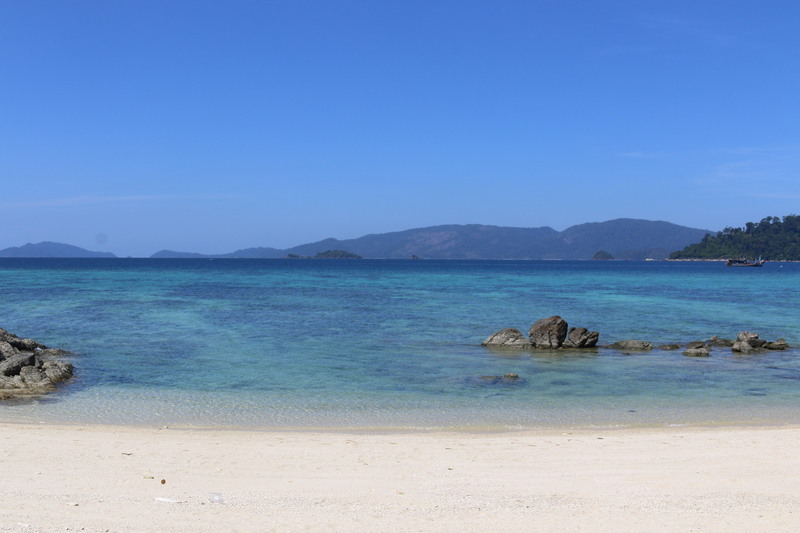 One of my favourite things to do is research beautiful islands to visit, and Koh Lipe trumps many of those “Top 10” lists you find on the internet. 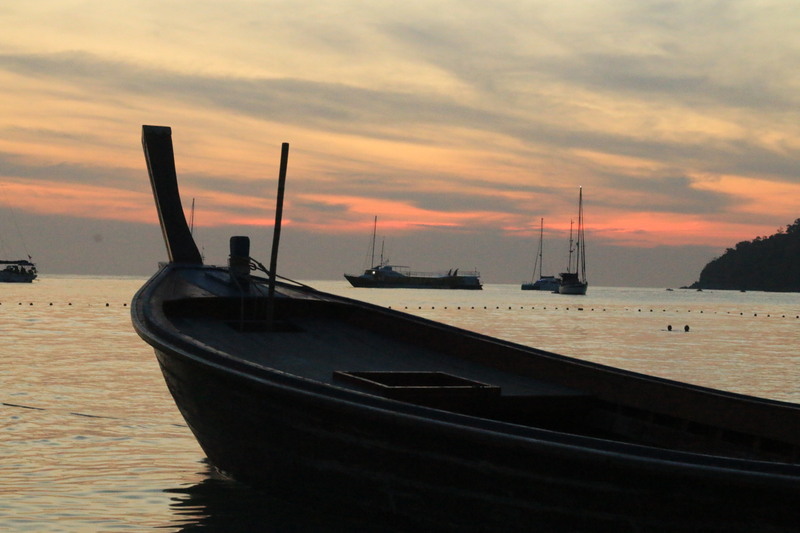 When I realized how easy it was to get to from Langkawi (a short ferry ride away) I was really excited, but couldn’t help wonder – would it really be as beautiful as those possibly photo-shopped pictures on the internet? The main stretch of beach, lined with most of the island’s resorts, bungalows, cafes and bars . The beach is beautiful, and the vibe is just so wonderfully chilled. There are fancy resorts, but there are charming little bars with bean bags and sofas stretching out onto the beach, and in the evenings, there’s music and people milling around and sandcastles with candles and fire dancing and its just fantastic. There aren’t very many streets on Koh Lipe, and Walking Street is the main stretch of concrete road bordered by little shops, cafes, restaurants, massage lounges, juice bars and tourist spots. 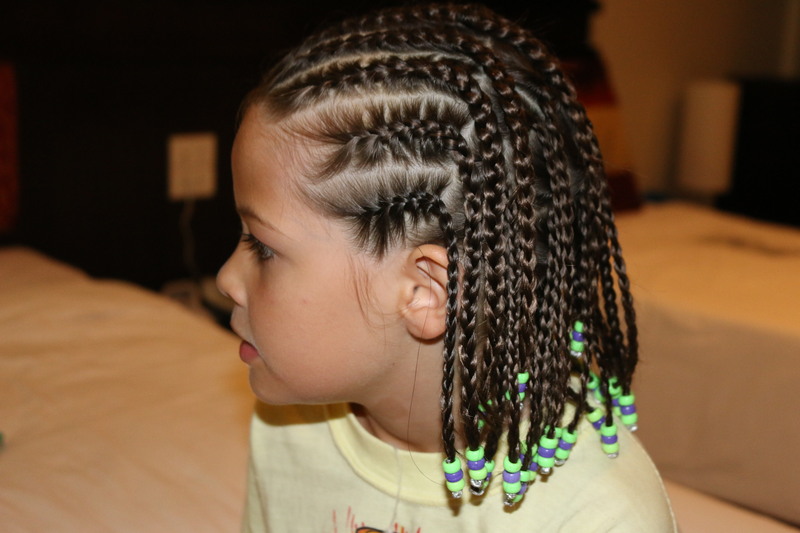 Little Miss got her hair braided, island-style, and we spent each night exploring. Lots of fun. We stayed at the Sita, which fronts directly into Pattaya Beach. With lovely rooms, a decent breakfast buffet and two pools, we loved it here. We lazed by the pool reading, then swam when we got too hot, then ordered freshly squeezed juice, then walked five metres to swim in the sea, and then did it all over again. It was also in a nice spot for a family– close to Walking Street, but far enough away from bars and restaurants so the rooms were very peaceful at night. And we met a lovely Australian couple here too! I do love that I have met so many great people on our trip. We found this delightful cove hidden behind the Sit Resort and spent the day here. You can snorkel about 1 metre into the ocean, the water is just that pristine. Bookworm and Souljourneyboy snorkeled for hours. 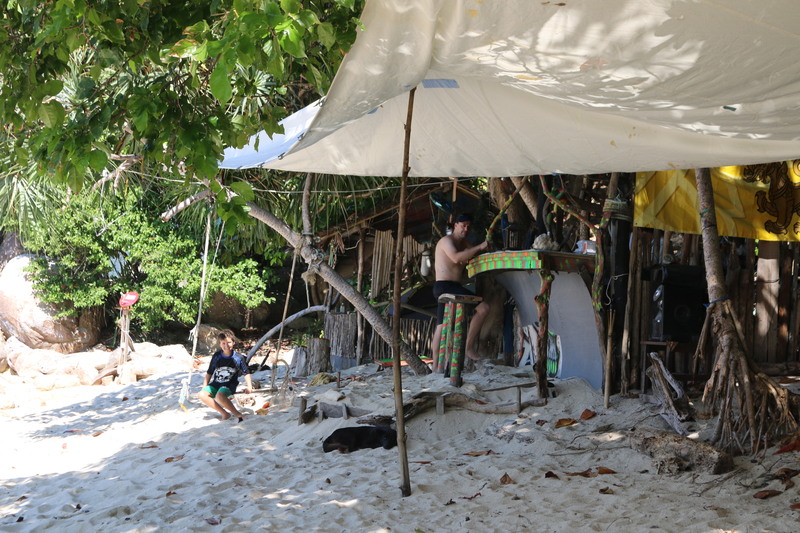 It was practically deserted – nothing here except a few tents, and a cute shack that doubles as a cocktail bar/café. It was fabulous. The cocktail bar on Sunset Beach. You can order food too – they jump on their motorbike, head over to Walking Street an buy whatever thou want, then deliver it back here. What else could anyone want?